We make lives and the environment better through science and human-centered design. We focus on outcomes, incentives, and sustainable finance. Our foundation is science, yet we work and collaborate outside of science to design and implement new solutions and ventures. We work across sectors to integrate behavioral science, finance, human-centered design, markets, natural science, and technology to solve problems. We seek collaborators from all sectors to implement high-impact ventures around the globe. We specialize in designing frameworks, instruments, and programs that are outcome-based, financially sustainable, entrepreneurial, and improve people's lives. We combine science and human-centered design to create new ways of approaching environmental problem solving. We fundraise and collaborate to design and pilot innovative models that deliver new value to local stakeholders and incentivize biodiversity conservation outcomes. We work with foundations to evaluate programs and develop new environmental protection and sustainable development strategies. We work with entrepreneurs to create new products and services that have biodiversity co-benefits. We work across sectors and disciplines to integrate environmental benefits into new and emerging markets. Designing a Coastal Solutions Fellows Program. Designing market solutions with fishing communities for economic benefits and marine protection. Understanding illegal fisheries in Chile. Understanding the impacts of seafood fraud. Understanding participation in community-based monitoring programs in Mexico. 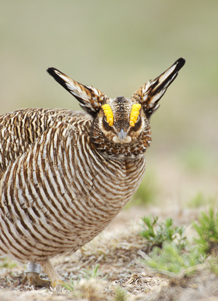 Understanding participation in the US Lesser Prairie Chicken Initiative. Josh leads ACS by building interdisciplinary teams to tackle problems in novel ways. He founded ACS in 2006. 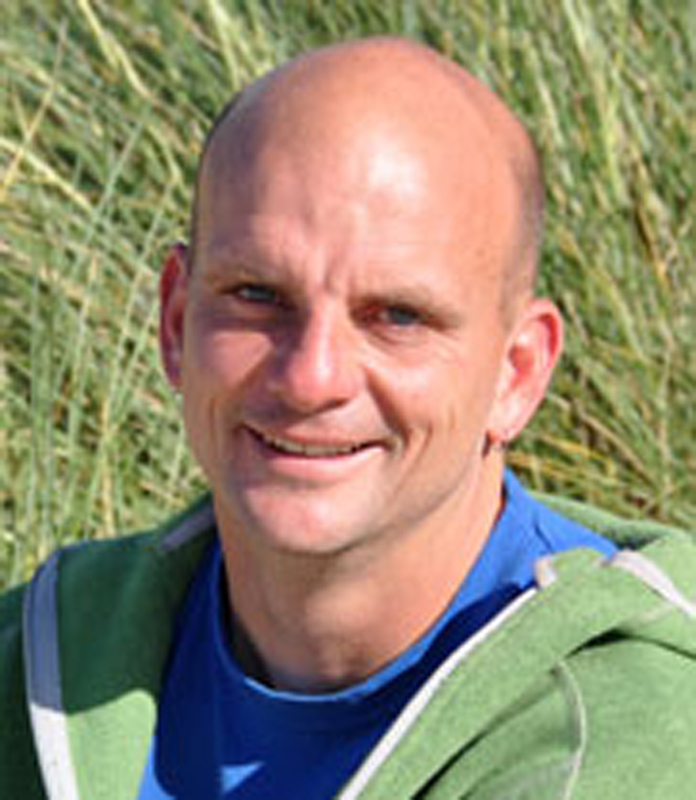 Trained as a natural scientist, Josh holds a Ph.D. from Cornell University and an M.A. from University of California. He has worked on environmental and social issues in over a dozen countries, including the management of invasive species, environmental restoration, conservation finance, and incentive-based approaches to environmental conservation. 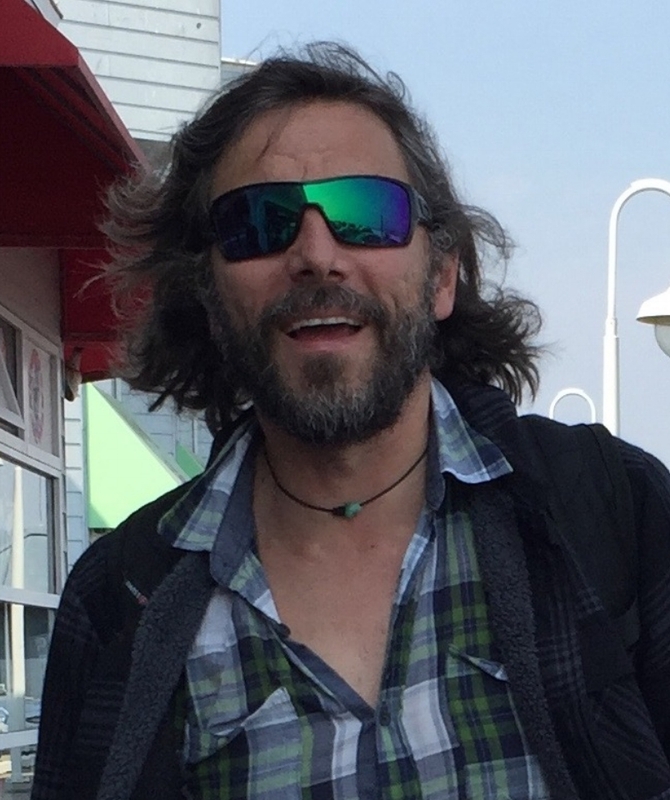 Josh has published over 80 scientific and public articles on environmental topics, including those receiving widespread attention in the media. Josh served as the Chief Scientist for Project Isabela in Galápagos Islands, one of the world’s largest island restoration project. He also played a pivotal, early role in the NGO Island Conservation, whose mission is to prevent extinctions by removing invasive species from islands. He served as a key advisor to the Chilean and Argentinean governments on the restoration of Tierra del Fuego. His current interests are focused on discovering where entrepreneurship, design, and human behavioral change can intersect to create and scale new ventures that improve the environment and the lives of people. Download Josh's long CV or shorter resume. We build custom teams for all our projects. Our associates span cultures and disciplines - from scientists to practitioners to entrepreneurs. What is driving seafood fraud? Click here to learn about our new study. Abstract: Seafood mislabeling is receiving increased attention by civil society, and programs and policies to address it are being implemented widely. Yet, evidence for the causes of mislabeling are largely limited to anecdotes and untested hypotheses. Mislabeling is commonly assumed to be motivated by the desire to label a lesser value product as a higher value one. Using price data from mislabeling studies, Δmislabel is estimated (i.e., the difference between the price of a labeled seafood product and its substitute when it was not mislabeled) and a meta-analysis is conducted to evaluate the evidence for an overall mislabeling for profit driver for seafood fraud. Evidence is lacking; rather, Δmislabel is highly variable. Country nor location in the supply chain do not account for the observed heterogeneity. The Δmislabel of substitute species, however, provides insights. Some species, such a sturgeon caviar, Atlantic Salmon, and Yellowfin Tuna have a positive Δmislabel, and may have the sufficient characteristics to motivate mislabeling for profit. Atlantic Bluefin Tuna and Patagonian Toothfish have a negative Δmislabel, which could represent an incentive to mislabel in order to facilitate market access for illegally-landed seafood. Most species have price differentials close to zero—suggesting other incentives may be influencing seafood mislabeling. Less than 10% of studies report price information; doing so more often could provide insights into the motivations for fraud. The causes of mislabeling appear to be diverse and context dependent, as opposed to being driven primarily by one incentive. Allee effects have important implications for many aspects of basic and applied ecology. The benefits of aggregation of conspecific individuals are central to Allee effects, which have led to the widely held assumption that social species are more prone to Allee effects. Robust evidence for this assumption, however, remains rare. Furthermore, previous research on Allee effects has failed to adequately address the consequences of the different levels of organisation within social species’ populations. We review available evidence of Allee effects and model the role of demographic and behavioural factors that may combine to dampen or strengthen Allee effects in social species. We use examples across various species with contrasting social structure, including carnivores, bats, primates and eusocial insects. Building on this, we provide a conceptual framework that allows for the integration of different Allee effects in social species. Shared ecological knowledge about the impacts of biological invasions can facilitate the collective action necessary to achieve desired management outcomes. Since its introduction to an island archipelago in South America, the North American beaver has caused major changes to the ecosystem. We examined landowners’ mental models of how beavers impact ecosystem services in riparian areas to understand the potential to implement a large-scale eradication program. We used ethno- graphic interviews to characterize individual landowners’ perceptions about beaver-caused changes to ecosystems and landowners’ wellbeing, and examined the degree to which they are shared. While the eradication initiative focuses on ecosystem integrity, landowners considered impacts on provisioning ser- vices to be most salient. Landowners did not have a highly shared causal model of beaver impacts, which indicates a diverse knowledge system. This lack of consensus on how beavers impact riparian areas provides some optimism for garnering support for eradication, and also offers insights into challenges with mental modeling methodologies. Nearly forty years old, the US Endangered Species Act (ESA) remains a landmark act in conservation and one of the world’s most comprehensive laws designed to prevent species extinctions and support recovery efforts for imperiled species. A controversial law and often subject to political attack, the ESA is successful overall but not without difficulties. Those who enforce the ESA, for example, struggle to achieve viable recovery goals for many species. This forward-thinking, innovative volume provides a roadmap for designing species conservation programs on the ground so they are effective and take place upstream of regulation, which will contribute to a reduction in lawsuits and other expenses that arise after a species is listed. Proactive Strategies for Species Protection is a guidebook for anyone anywhere interested in designing programs that incentivize environmental stewardship and species conservation. This volume brings together ecologists, foresters, social scientists, lawyers, ranchers, government officials, and others to create a legal, scientific, sociological, financial, and technological foundation for designing solutions that incentivize conservation action for hundreds of at-risk species—prior to their potential listing under the ESA. Proactive Strategies for Protecting Species explores the perspectives, opportunities, and challenges around designing and implementing pre-listing programs and approaches to species conservation. Research on seafood fraud is a nascent topic. A recent study makes the claim that “mislabeling results in the sale of items of better conservation status and nearly equivalent price.” However the study has a number of issues that questions its main conclusions. First, based on the data and results that are presented, there appear to be errors and some of the conclusions are not supported. Second, there may be a bias in the analyses that favors the conclusions. Third, details are lacking regarding the analyses, challenging their verification. ACS published a letter in the journal Conservation Letters describing the issues. Seafood fraud results from natural and human systems interacting in complex ways, which is likely resulting in place-based consequences. We argue that in order to characterize the system dynamics and provide insights into the financial and ecological implications of seafood fraud, a more careful and cautious approach is required. Achieving Biodiversity Benefits with Offsets: Is Research Tackling the Right Topics? Ants are one of the most cosmopolitan invasive taxa: dozens of species have invaded islands and continental areas around the globe. Invasive ants continue to colonize new ecosystems having direct and indirect negative impacts on natural and managed ecosystems. Thus, in many cases, eradication is often a desirable management action. While invasive ant eradications have increased over the past 15 years, the success rate of ant eradications is low compared to other invasive species. With colleagues from CISRO Australia and University College of London, ACS reviewed ant eradications worldwide in order to assess the practice and identify knowledge gaps and challenges. Panama Bay is one of the most important wintering and stopover areas for shorebirds in the western hemisphere. In 2015, Advanced Conservation Strategies conducted a Conservation Landscape Assessment of Panama Bay for the David & Lucile Packard Foundation. 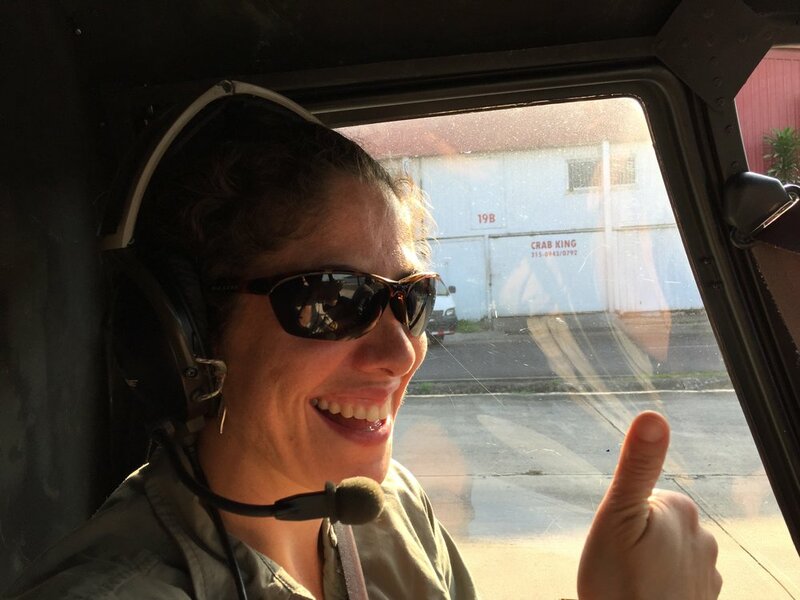 A research team, including natural scientists, social scientists, architects, and land use planners, conducted primary and secondary research, including stakeholder interviews across all sectors in Panama City. The goal was to assess the state of shorebird habitat protection in Panama Bay and how it fits into the larger landscape and dynamics surrounding the Panama City metropolitan area. 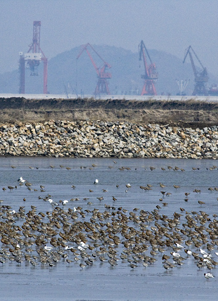 Advanced Conservation Strategies also provided a series of broad, forward-looking recommendations to improve wetland and shorebird protection. Balancing development and biodiversity conservation presents significant challenges. One approach, biodiversity offsetting, represents “measurable conservation outcomes resulting from actions designed to compensate for significant residual adverse biodiversity impacts resulting from project development” and is a final step in a mitigation hierarchy following steps of avoidance, minimization, rehabilitation, and restoration. In the journal Conservation Biology, Josh Donlan and colleagues at Island Conservation recently presented an argument for the potential for biodiversity offsetting to fund invasive species eradications on islands. Islands have disproportionately higher levels of biodiversity, threatened species, and extinctions than mainlands. Judging by the pages of recent journals and books, one could easily believe biodiversity conservation is experiencing a crisis. New phrases and metaphors abound, making for great headlines. Protecting the Wild is one of two new volumes that are entirely motivated by this supposed fracture in conservation. From a quick look at these books, one would think that there are thousands of scientists and conservationists in the streets, calling for the end of protected areas. Of course, this is far from reality. Even the volume's archenemy, Peter Kareiva, is not explicitly opposed to parks; rather, his focus just happens to be on all the stuff outside of parks and wilderness: “Conservation will likely continue to create parks and wilderness areas, but that will be just one of the field's larger goals. The bigger questions… regard what will we do with the rest of it.” Arguments for silver bullets, however, make better copy than cost–benefit analyses do. The promise of environmental conservation incentive programs that provide direct payments in exchange for conservation outcomes is that they enhance the value of engaging in stewardship behaviors. An insidious but important concern is that a narrow focus on optimizing payment levels can ultimately suppress program participation and subvert participants’ internal motivation to engage in long-term conservation behaviors. Increasing participation and engendering stewardship can be achieved by recognizing that participation is not simply a function of the payment; it is a function of the overall structure and administration of the program. Key to creating innovative and more sustainable programs is fitting them within the existing needs and values of target participants. By focusing on empathy for participants, co-designing program approaches, and learning from the rapid prototyping of program concepts, a human-centered approach to conservation incentive program design enhances the propensity for discovery of novel and innovative solutions to pressing conservation issues. The continued degradation of marine ecosystems, along with the ecosystem services they provide, suggest that new, innovative approaches are needed to scale up marine biodiversity protection and promote sustainable fishery practices. We synthesize information from Chile on the key processes involved in the development of alternative strategies for scaling up marine biodiversity conservation and discuss the complementarities with marine protected areas. Defined as “ancillary” marine conservation initiatives under the Convention of Biological Diversity, we suggest that these alternative strategies have the potential to capitalize on local stakeholders’ participation and contribute to solving livelihood and governance issues while playing a significant role in scaling up marine conservation. We specifically focus on two recent ancillary initiatives being piloted in Chile. The development of business model innovations which could enable biodiversity benefits from territorial user rights fisheries policies and the creation of municipal conservation areas. We identify how these initiatives could eventually help scale up marine conservation, discuss opportunities and challenges from these pilot experiences and conclude with the need for developing policy frameworks and cross-scale governance approaches which formally acknowledge marine ancillary conservation measures as part of an integrated way to manage marine biodiversity. Exploring and supporting alternative complementary marine conservation strategies is particularly relevant in Chile and Latin America, if biodiversity conservation initiatives are to scale in coverage, contribute to livelihood improvement of local communities, replenish fisheries and play key roles in adaptation to climate change. Trophic rewilding is an ecological restoration strategy that uses species introductions to restore top-down trophic interactions and associated trophic cascades to promote self-regulating biodiverse ecosystems. Given the importance of large animals in trophic cascades and their widespread losses and resulting trophic downgrading, it often focuses on restoring functional megafaunas. Trophic rewilding is increasingly being implemented for conservation, but remains controversial. Here, we provide a synthesis of its current scientific basis, highlighting trophic cascades as the key conceptual framework, discussing the main lessons learned from ongoing rewilding projects, systematically reviewing the current literature, and highlighting unintentional rewilding and spontaneous wildlife comebacks as underused sources of information. Together, these lines of evidence show that trophic cascades may be restored via species reintroductions and ecological replacements. It is clear, however, that megafauna effects may be affected by poorly understood trophic complexity effects and interactions with landscape settings, human activities, and other factors. Unfortunately, empirical research on trophic rewilding is still rare, fragmented, and geographically biased, with the literature dominated by essays and opinion pieces. We highlight the need for applied programs to include hypothesis testing and science-based monitoring, and outline priorities for future research, notably assessing the role of trophic complexity, interplay with landscape settings, land use, and climate change, as well as developing the global scope for rewilding and tools to optimize benefits and reduce human–wildlife conflicts. Finally, we recommend developing a decision framework for species selection, building on functional and phylogenetic information and with attention to the potential contribution from synthetic biology. The eradication of invasive species from islands is a conservation intervention proven to protect biodiversity, with more than 1200 successful vertebrate eradications implemented globally. The demand for eradication projects is increasing and practitioners are planning projects on increasingly larger, more remote and more technically challenging islands. Undertaking strategic planning for conservation requires information on both the cost and benefit of proposed actions, to determine the trade-off in selecting one project over another. To date the cost of eradication projects is disparately reported in the literature, an artefact of different reporting requirements based on where the eradication was undertaken, the scale of the project, the implementing agency and its accountabilities, and inconsistency in reporting all project component costs. Eradication projects have characteristics that allow more refined cost forecasting relative to other conservation initiatives, including a narrow set of major eradication techniques being used, a defined beginning and end point, and distinct project components. Here we present the major cost centres for eradication projects, including a dataset for a suite of rodent, ungulate and predator eradications, using a dataset of 46 eradications primarily from New Zealand, Ecuador and the USA. We found cost increased with island size for all eradication types except ground based rodent eradications. Using these standards to report project costs will improve the ability to evaluate and predict the cost of removing invasive animals from islands to protect native insular biodiversity. Territorial user rights for fisheries are being promoted to enhance the sustainability of small-scale fisheries. 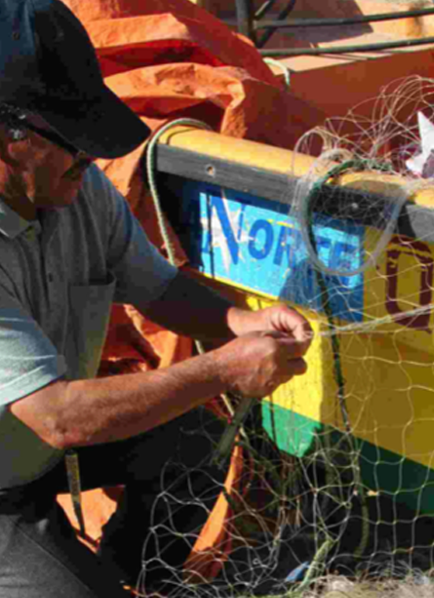 Using Chile as a case study, we designed a market-based program aimed at improving fishers’ livelihoods while incentivizing the establishment and enforcement of no-take areas within areas managed with territorial user right regimes. Building on explicit enabling conditions (i.e., high levels of governance, participation, and empowerment), we used a place-based, human-centered approach to design a program that will have the necessary support and buy-in from local fishers to result in landscape-scale biodiversity benefits. Transactional infrastructure must be complex enough to capture the biodiversity benefits being created, but simple enough so that the program can be scaled up and is attractive to potential financiers. Biodiversity benefits created must be commoditized, and desired behavioral changes must be verified within a transactional context. Demand must be generated for fisher-created biodiversity benefits in order to attract financing and to scale the market model. Important design decisions around these 3 components—supply, transactional infrastructure, and demand—must be made based on local social-ecological conditions. Our market model, which is being piloted in Chile, is a flexible foundation on which to base scalable opportunities to operationalize a scheme that incentivizes local, verifiable biodiversity benefits via conservation behaviors by fishers that could likely result in significant marine conservation gains and novel cross-sector alliances. We provide an assessment of marine conservation in Peru. We do so by synthesizing the relevant literature and conducting in-country interviews across all relevant sectors. This report is not intended to be an exhaustive review of marine conservation in Peru. Rather, we highlight activities occurring across a diversity of sectors and geographies. Peru’s marine environment is unique and globally important from many perspectives. It supports the anchoveta fishery—the world’s largest fishery. The Humboldt Large Marine ecosystem is one of the world’s most productive ecosystems—both its complexity and biodiversity are staggering. And Peru’s marine environment supports jobs and livelihoods. A recent study estimates that Peru’s fisheries sector alone provides over 200,000 jobs, the majority of which are connected to the artisanal fishing sector. Compared to the Amazon and other terrestrial ecosystems, biodiversity conservation and sustainability in the marine environment is relatively new in Peru. It has received less focus, resources, and attention. This, however, is beginning to change. New marine protected areas are being declared. A new generation of Peruvian scientists, practitioners, and entrepreneurs are turning the efforts toward the sea. And new streams of investment for marine protection and sustainable fisheries are starting to come online. The main goal of this report is to capture some of these developments, as well as provide insights on the challenges and opportunities that lay ahead with respect to improving marine biodiversity protection, management, and sustainability in Peru. Conservation practitioners are increasingly embracing evidence-based and re- turn on investment (ROI) approaches. Much evidence now exists that docu- ments island biodiversity impacts by invasive mammals. The technical ability to eradicate invasive mammals from islands has increased exponentially; con- sequently, strategic planning focused on maximizing the ROI is now a limiting factor for island restoration. We use a regional ROI approach to prioritize erad- ications on islands for seabird conservation in British Columbia, Canada. We do so by integrating economic costs of interventions and applying a resource allocation approach. We estimate the optimal set of islands for eradication un- der two conservation objectives each with a series of increasing thresholds of population sizes and breeding locations. Our approach (1) identified the most cost-effective interventions, (2) determined whether or not those interven- tions were nested with increasing thresholds, and (3) helped justify larger in- vestments when appropriate. More often than not, conservation decisions are made at a regional scale, and decision-makers often must make choices on how to allocate funds across a number of potential conservation actions. A regional, ROI framework can serve as a decision-support tool for organizations engaging in discrete interventions in order to maximize benefits for the minimum cost. The overwhelming majority of the financial sector has yet to show interest in biodiversity conservation. In great contrast, impact investing for social good is an emerging asset class. Recent estimates forecast the value of potential investment opportunities to provide social services to the base of the economic pyramid at $4 billion to $1 trillion over the next decade. Investments in for- profit ventures that produce biodiversity co-benefits are a small fraction of this growing amount of private capital being mobilized to do “good.” The purpose of this report is twofold. First, we assess the current state of the impact investment sector with respect to its focus on the environment. We do so by assessing environmentally focused investment funds. We review their financial and legal structures, along with the foci of their investments. We also analyze the standards and ratings currently present in the sector, and identify broad levels of risk to those investment funds. Our main purpose is to provide snapshot of the impact investment space as it relates broadly to environmental conservation. You can help us help the environment and people. Sign up for a our monthly newsletter, and follow us on Twitter and Facebook. Check out our Buzz Blog for the latest ACS news. You can also support for free by shopping Amazon thru their Amazon Smile program. You can make a contribution today on our secure site by clicking on the donate below. Advanced Conservation Strategies is a registered 501C3 non-profit organization in the United States. We rely on financial donations from people like you in order to design and create new, innovative biodiversity conservation programs - many of which attempt to leverage new and emerging markets in order to eventually achieve financial sustainability. Thus, your donation will help the environmental sector move away from relying solely on philanthropy. Donations are tax-deductible (our IRS EIN is 20-4002778). We maintain a presence in Utah, Virginia, and Córdoba, Spain.